Bollywood singer-composer and actor Lucky Ali, who regaled the crowd with a rocking performance in this Assam town, will be the brand ambassador of the state's Dima Hasao district. Lucky's performance was part of the first edition of the three-day Jatinga International Festival and he got a huge round of applause by a crowd of nearly 15,000 Friday. "I am moved by the kind of hospitality the people of Haflong have showered on me. It is such a beautiful place. Living in Mumbai and Bangalore, we hardly can have such warmth. Politics should be kept apart from development. The place needs to be developed as a popular tourist spot," Lucky told IANS. Lucky has given his consent to promote the district, of which Haflong is the headquarters, said Debojit Thaosen, chief executive member of the Dima Hasao District Autonomous Council. This was Lucky's first visit to Haflong, also known as the Switzerland of the East. He is also planning to popularise Assam through his next video album. "I am going to shoot my next video album Xsuie in Assam," said Lucky, who has also featured in movies like "Kaante" and "Sur". He said his next acting project "Rock Shock" is currently in post-production stage and is slated for either a December or early 2011 release. At the event, Lucky sang songs from his albums like "Sifar", "Aks", "Sunoh", "Kabhi Aisa Lagta Hai" and "Xsuie", apart from some of his popular film songs. He also crooned an evergreen number from his father, legendary comedian Mehmood's 1976 film "Sabse Bada Rupaiya". And the audience at the District Sports Ground here was thrilled. "It was awesome. 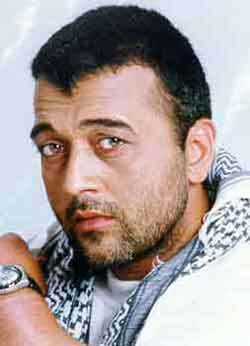 I am a big fan of Lucky Ali and I will treasure his autograph," said Kalpana, a student. Vishwanath, who stays in nearby Silchar, was mesmerised by the soulful songs, and said: "I am attending his (Lucky Ali's) show for the first time and I am damn impressed. He has got an awesome voice." Two other bands -- Guwahati-based Moon Win and Low Rides from Bangalore -- also enthralled the crowd.